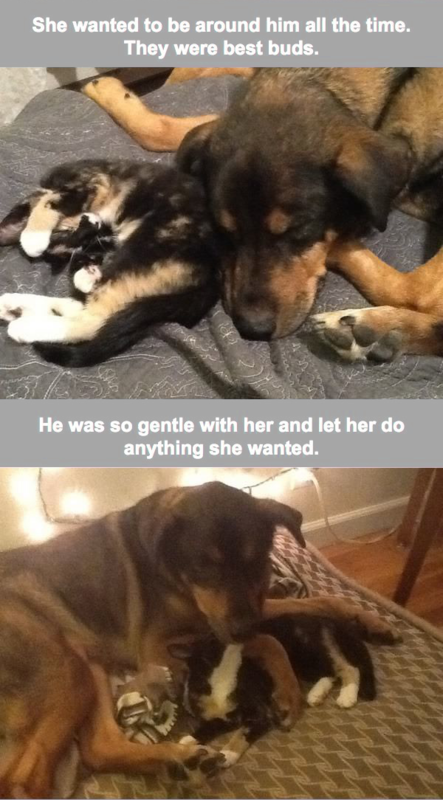 This kitty loved the dog so much and couldn’t sleep unless he was cuddling next to the dog, but then one day the dog died due to cancer complications, but the love didn’t stop there. 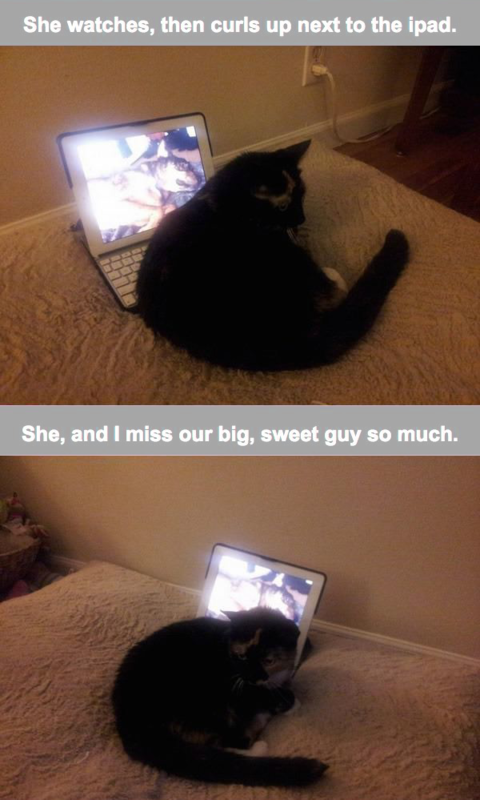 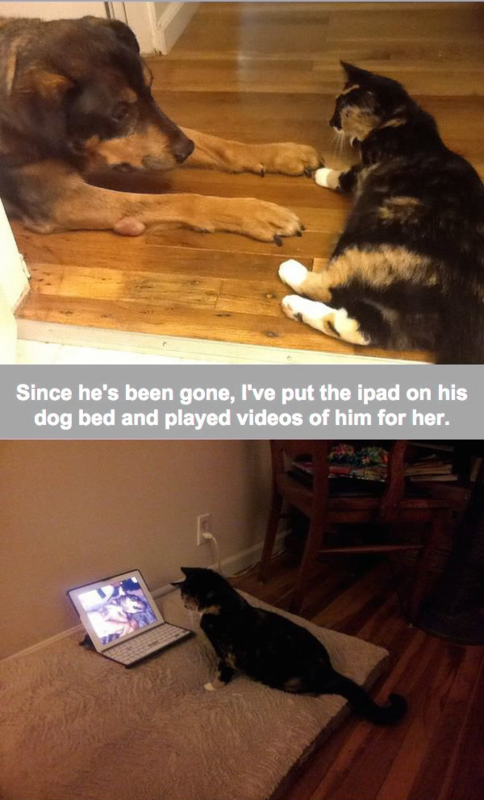 Ever since Charlie the dog died, this sweet kitty has missed him so much that even when she watches a video of him she misses him and sleeps better! 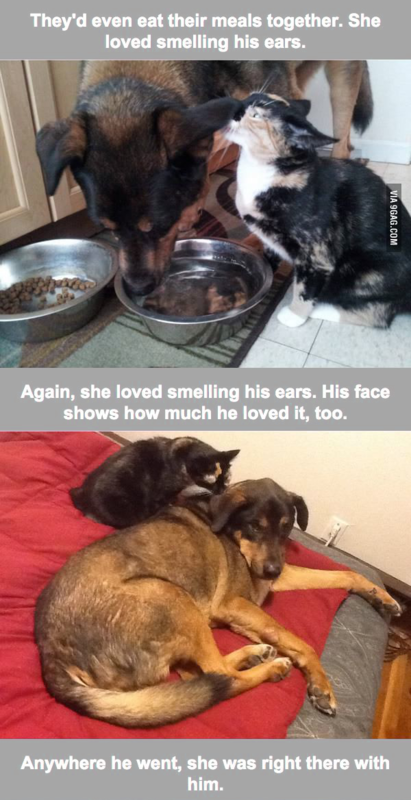 This is so heartbreaking, it brings tears to my eyes—Please consider sharing with your friends if you enjoyed this story!